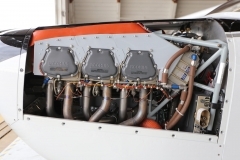 Boss 182™ - Lycoming IO-580 Engine Conversion by Wipaire | Wipaire, Inc.
Are you ready to fly like a Boss? 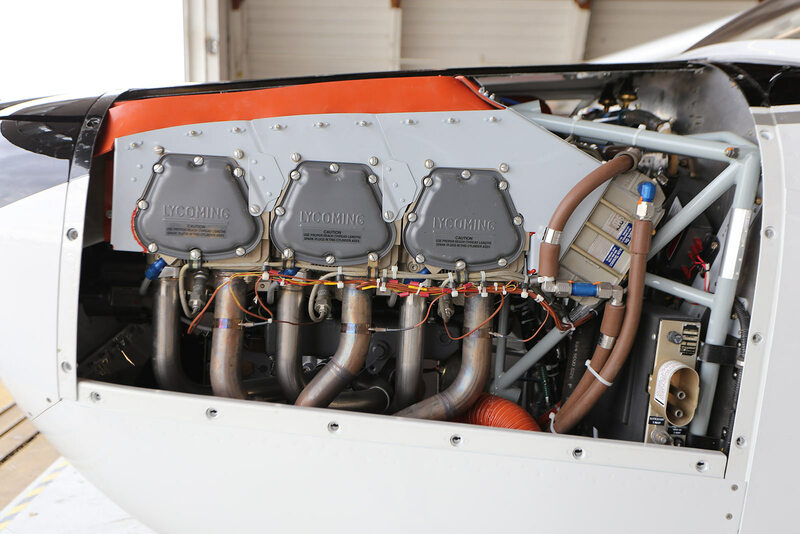 If you’re feeling uninspired by the performance of your 182S or T, or maybe your IO-540 is nearing TBO, it’s time to consider the Boss 182™ engine conversion by Wipaire. 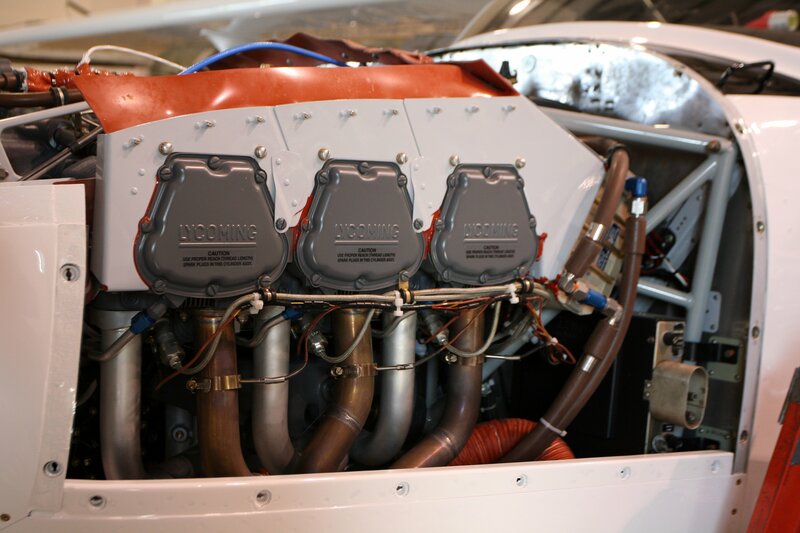 Our Lycoming IO-580 engine conversion is the most powerful factory-new option available. 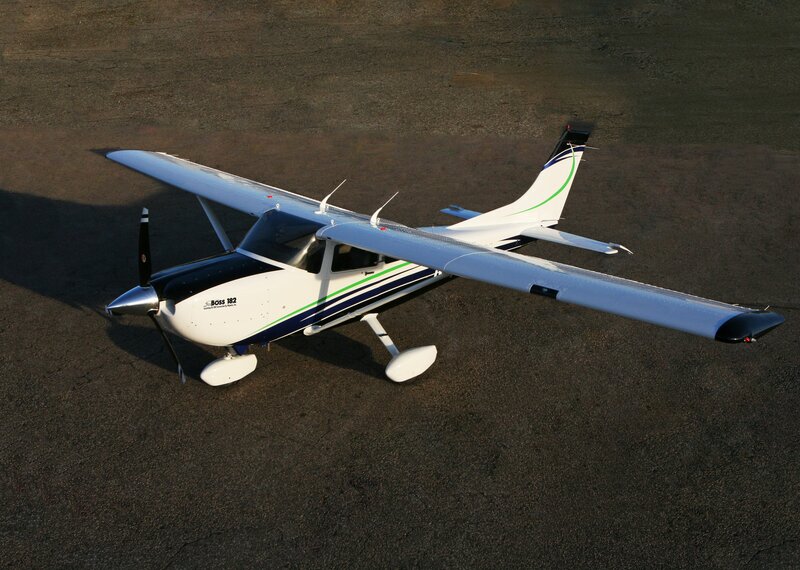 With 315 hp stock, and up to 340 hp after engine tuning by Ly-Con, your 182 will fly like a whole new airplane. What’s included in the conversion? Everything required to put a silly grin on your face every time you push the throttle forward. That means our high-flow tuned exhaust that adds effective horsepower, a variety of propeller options to muscle you into the air, and a firewall beef-up to give you a gross weight increase are all part of the conversion. 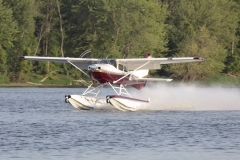 If you’re on floats or thinking of converting to floats, we offer a heavy-duty seaplane engine mount. 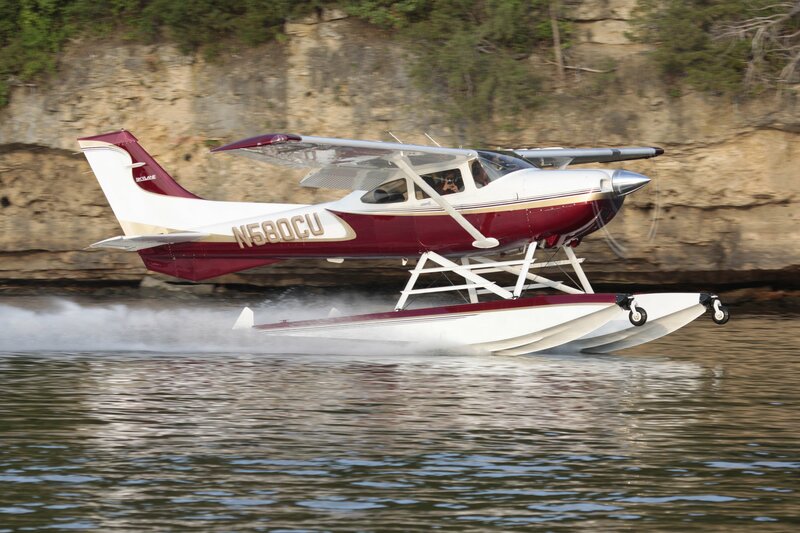 The Boss 182 engine conversion is the only late-model engine upgrade approved on floats! On wheels, you’ll enjoy a gross weight increase to 3,158 lbs. 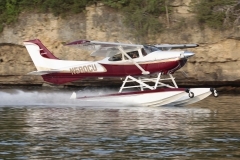 On floats, gross weight increases to 3,370 lbs or 3,500 lbs are available. Climb rates of up to 1,400 fpm (50% greater than stock!) and increased cruise speeds are other benefits you’ll take advantage of with a Boss 182 conversion. 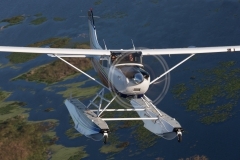 The Boss 182 engine conversion is available for the Cessna 182S and 182T models in both landplane and floatplane configurations. The Boss 182 is already an impressive performer but for even more spirited performance owners may elect to have port, polish and flow balance services completed by Ly-Con. Dyno testing confirms that this can increase total output to 340+ hp! Get the most utility out of your 182. 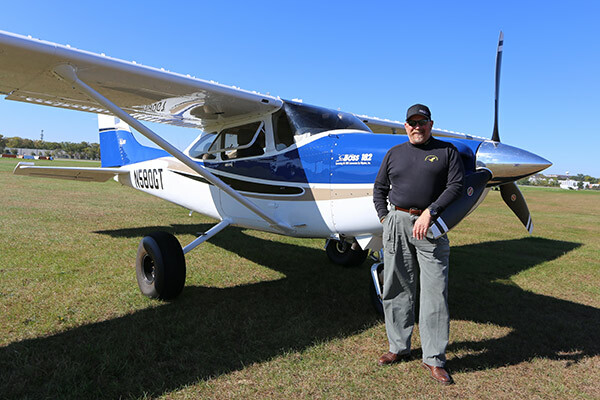 Gross weight increases to 3,500 lbs, 3,370 lbs and 3,250 lbs are available for the Cessna 182. The 3,500 and 3,370 lb gross weight increases boast a greatly improved forward CG envelope that gives you more loading flexibility. Learn more about our gross weight increases for the 182. “My favorite feature on wheels is its inherent stability and ground handling. On floats it’s amazing. It comes off the water really sharp. You don’t ever have to wonder ‘at what point will it fly,’ it just gets on step and goes. For FAA certification of new modifications Wipaire performs extensive performance tests with the aircraft loaded to gross weight. 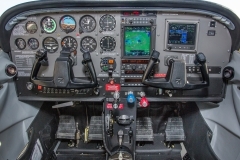 This certification data represents the minimum performance expected out of an aircraft loaded to maximum gross weight. 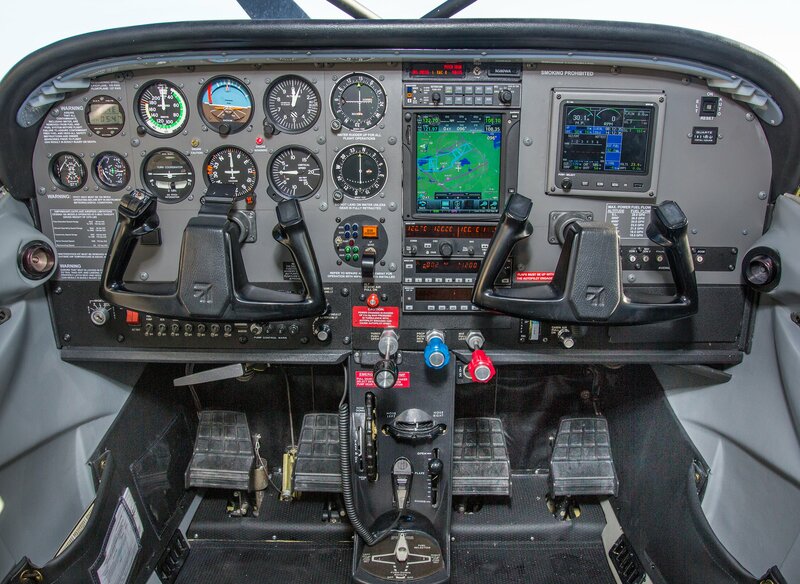 In order to better represent the level of performance most pilots will see we are providing performance specs taken with a “typical load” of pilot, co-pilot, 60 gallons of fuel and testing instrumentation. This gave us a weight of 2,839 lbs. 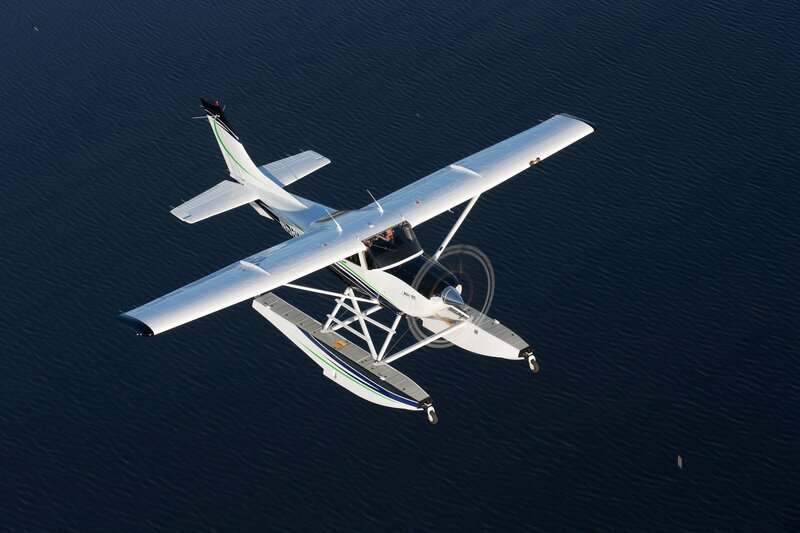 No other float available for the Cessna 182 can match the performance and engineering of the Wipline 3000 float. 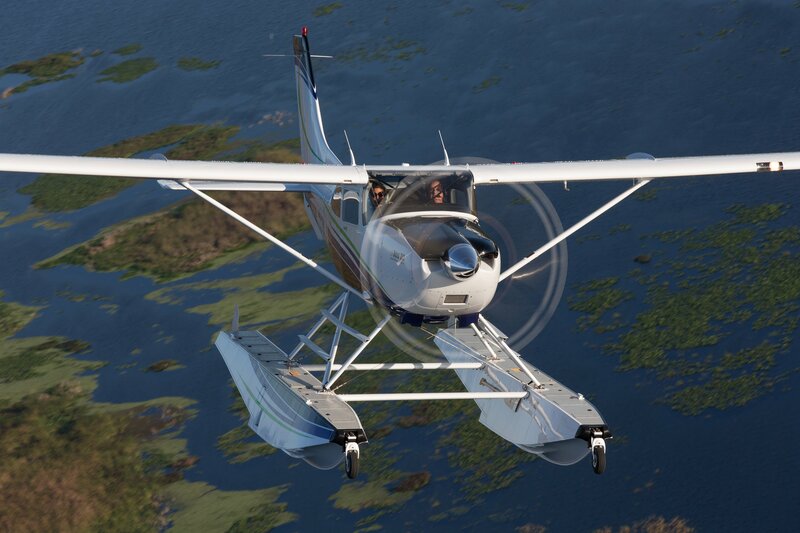 Whether your dream is to fly to remote glacier lakes or island beaches, Wipaire can equip your Skylane with the versatility you need. These outstanding performers are ruggedly durable and ready to give you the freedom to explore. 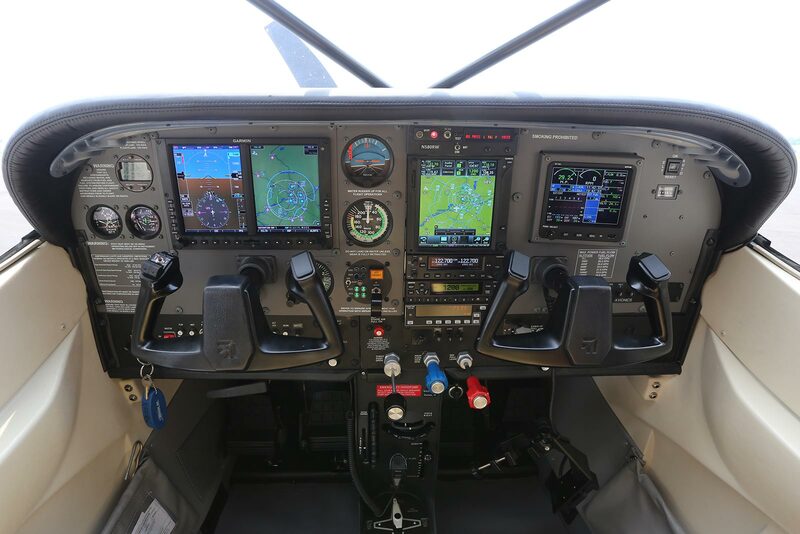 From repairs to ADS-B upgrades to entire glass panel overhauls, our avionics department offers a wide variety of services backed by decades of experience. Avionics services are available at both our South St. Paul, MN headquarters (KSGS) and our Leesburg, FL location (KLEE). 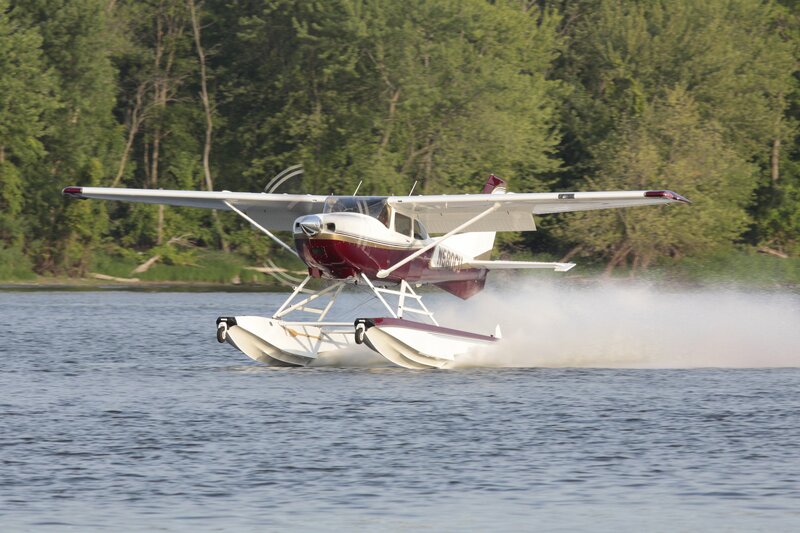 Whether you’re on wheels or floats, steam gauges or G1000, we invite you to experience our service and quality. If your interior is starting to show its age then why not upgrade! Whether your goal is utility, luxury, or both, we’ll work with you to formulate the interior that fits your mission. If you can imagine it, we can make it real. From simple to exotic, we’ll work with you to create a custom design or match existing elements. Our experience and attention to intricate details, such as custom decals and airbrushed art, are the foundation for the highest quality finish for your aircraft.